A slave's memoir and an abolitionist text, both dating back to the 1800s, were accidentally found in a library. 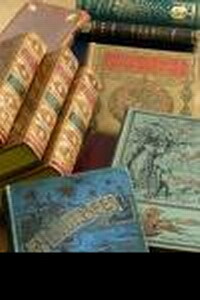 The books were discovered together last month in a single leather-bound volume that was clearly an unusual find, said Liza Holzinger, coordinator of the Bethlehem Area Public Library's book sale. "When this appeared on my desk, I couldn't believe it," Holzinger said. The volume contained a first edition of Lydia Maria Child's 1833 book, "An Appeal in Favor of That Class of Americans Called African," and an 1840 second edition of "The Slave: Memoirs of Archy Moore." Daniel Wilson, professor of history at Muhlenberg College, said Child's book against slavery received a lot of attention when it was published. "They've got something valuable there," he said. "I'm not a book dealer, but this was a very influential text in terms of abolition and convincing people, particularly in New England, to adopt the abolitionist cause." Holzinger said Child was a well-known author of popular novels and the advice manual "The Frugal Housewife." In "An Appeal," she wrote about the cruelty of slavery and its contradiction to the United States' founding principles. There is no indication why the books were rebound together or who donated them, Holzinger said. She expects to price the volume for at least $500 (354 EUR) at the book sale.